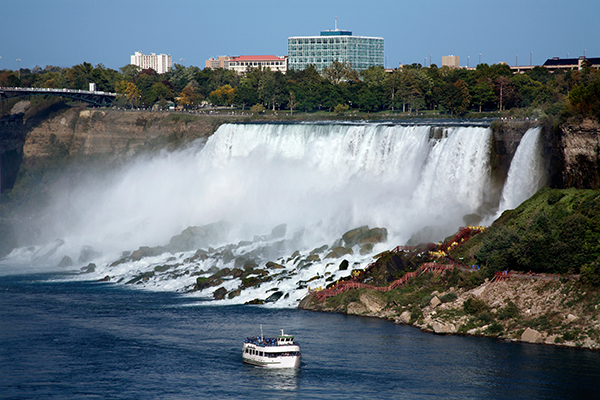 Build your own adventure in Niagara USA with all the wonderful things to see and do in this part of our beautiful country. Maid of the Mist takes tourists in front of the American Falls and into the Horseshoe of the Canadian Falls. The noise is deafening and the spray like tropical rain! This boat is wheelchair accessible. 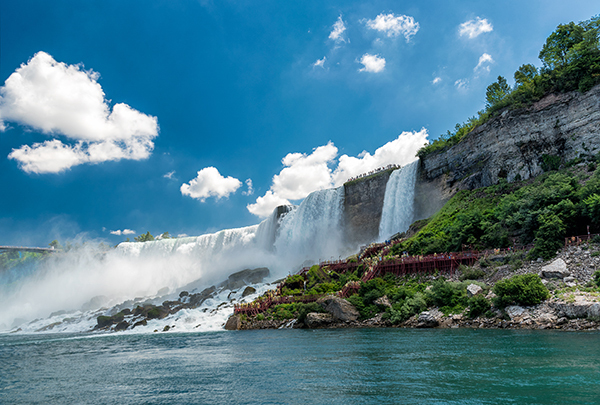 Experience Niagara's iconic landscape, rich history and the thriving culture and communities along the scenic Niagara River with the ease and convenience of a hop-on/hop-off shuttle. Enjoy a day of discovery as you connect to 15 destination sites along the 14-mile route from the "Falls to the Fort." Stops on the shuttle include: Niagara Falls USA Official Visitor Center, 3rd & Old Falls Street, 3rd Street Entertainment District, Niagara Gorge Discovery Center, Aquarium of Niagara, Niagara Arts and Cultural Center, Oakwood Cemetery, Niagara Falls Train Station & Niagara Falls Underground Railroad Heritage Center, Whirlpool State Park, Castellani Art Museum, Niagara Power Project Power Vista, Lewiston Center, Lewiston Waterfront, Youngstown Center, and Old Fort Niagara. Shuttles are first come/first served. Seneca Niagara Resort & Casino in Niagara Falls, NY USA boasts an exciting full-service casino & top-tier amenities. 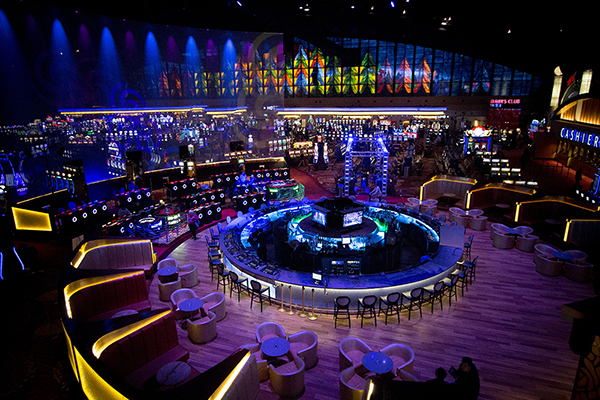 The Casino features Table Games, Poker, Keno, and Slots. There are also retail and entertainment opportunities on site. Seneca Niagara Resort & Casino is a 4-Diamond resort conveniently located 3 blocks from the State Park where all of the Niagara attractions and Falls are located. The Resort features an indoor pool and Fitness Center. Dining options include Signature, Casual and Quick Dining. There are also several bars & lounges on site. All bathrooms have a walk-in shower. The hotel lobby concierge desk offers a complimentary trolley ticket that picks up in front of the casino and travels through the city and to the Fashion Outlet Mall. Seneca Niagara- Guest MUST supply a valid credit card at check in if they intended to consume any amenities in room. Food items (bottled water, popcorn & chocolate) in the room are NOT complimentary and they will be charged. If items are consumed and a credit card is not supplied, a bill will be given. 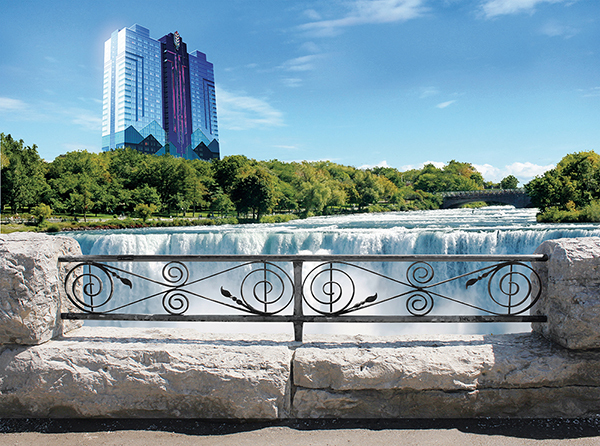 -Seneca Niagara- Guest MUST supply a valid credit card at check in if they intended to consume any amenities in room. Food items (bottled water, popcorn & chocolate) in the room are NOT complimentary and they will be charged. If items are consumed and a credit card is not supplied, a bill will be given.